Believe it or not, there is such a thing as “good” debt! Fixed rate, low-interest debt can allow you access to money that you can reinvest. Using a mortgage to buy a house is a great example. Of course, there is “bad” debt – floating-rate and high-interest loans such as credit cards are often not a good idea. That being said: look at the debt you have, your interest rate(s), and what you’ve done with the borrowed funds. Learning where you are in the economic cycle will help drive your decisions. Assume someone borrowed money a few years ago when interest rates were lower, let’s say 3%. If they used the borrowed money to invest in real estate or other investments where they would have received a higher hypothetical return – let’s say 10% – then they’ve made more money by utilizing the debt. Taking advantage of the economic cycle helped them to achieve a higher return than what the borrowed money cost them! Now that the stock market has been on the rise for around 10 years, and real estate values have also been climbing for around eight years, an important question to ask is: how much upside is left in the upcoming 5-10 years? I don’t believe our economy, the stock market, or the real estate markets have peaked. But I want you to be aware that economic cycles do exist. Markets go up and down, as do interest rates. What if someone borrowed today at 5% and invested the money into investment vehicles that they believe will return only 7%? They’re taking on the same risk yet are not being compensated for it as much as they were at an earlier time in the economic cycle! This occurs due to the narrower spread between the higher interest and assumed lower returns. Consult your local financial advisor to discuss the debt you have relative to your assets, investments, and cash. Then, you can form your best opinion of where you fall in the economic cycle. This will pave the way to keeping your debt at manageable levels as well as maximizing your returns. 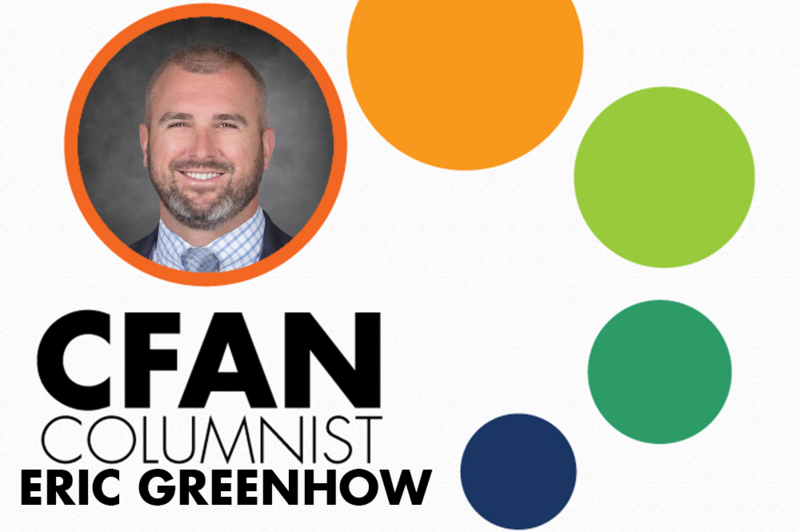 BIO: Born and raised in the Central Florida area, Eric Greenhow strives for excellence — embodying the spirit and core values of Allen & Company. He is nationally recognized for his industry leadership and community service, and is a Chartered Financial Analyst® and CFP®. For more information about Eric and the Allen Investments Team, call 863.294.7411 or visit AllenInvestments.com/GoGreenhow.